Farm women in 1876 were usually called “farm wives” while their husbands were called “farmers.” It implied they were a junior—not an equal—partner in the business of farming. But Susan H. Jennings of Henry County was a true farmer in her own right. She owned and managed a 1300-acre farm near Mount Pleasant. Jennings and her husband started farming in Iowa in 1849 when the state was young. At the time there was only a small scattering of farmers on the prairie around the Jennings farm. Mr. and Mrs. Jennings farmed together for 10 years, but in 1859 Mr. Jennings died leaving his wife to run the farming operation alone. Farmers in Henry County in 1876 were doing quite well. And Susan Jennings was one of the more prosperous. A herd of 125 cattle roamed the broad green pastures of her farm. She had 100 fatting and breeding swine and 250 young pigs. Her 700 head of sheep provided a good crop of wool. And as with any farm at the time, there was a good quantity of horses on hand. Jennings had 40—most used as teams for farm work. To help with all the farm chores she employed 15 men year round. That number increased to 25 to 30 during harvest season. Jennings’ outbuildings were well built and she kept all of them up to date with the most modern improvements. She had a barn for the horses that measured 112 feet long by 32 feet wide. The sheep barn was the same length and 80 feet wide. She stored grain and over 100 tons of hay in several sheds. And she was storing over 10,000 pounds of wool — waiting for a better price before sending it to market. Jennings had recently sold 60 head of fat cattle and was looking for about 50 to replace those she had sold. She had also recently sold 150 head of fat hogs—about 400 pounds each. She was pleased to have gotten $7.25 per hundred weight. 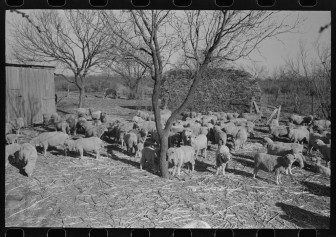 In addition to her livestock business, Jennings grew grain and had large pasture fields. 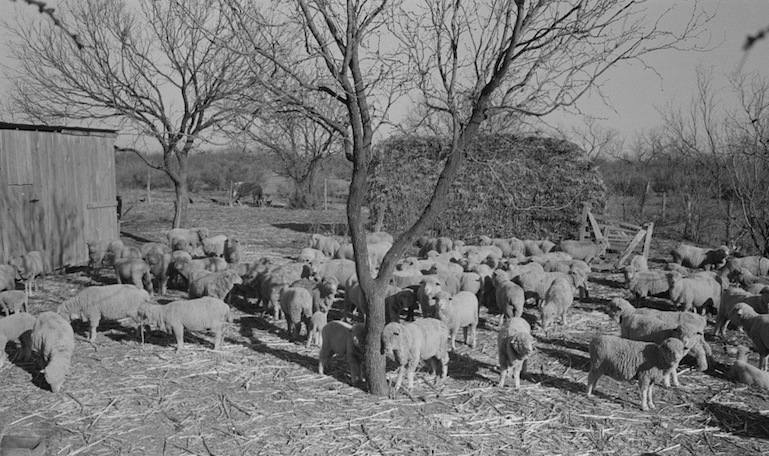 There were ample groves of trees in the pastures providing shade for the stock in many parts of the fields. 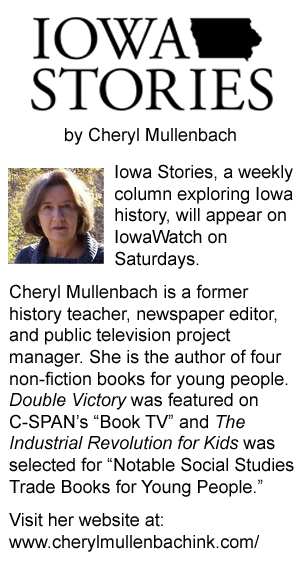 Her corn fields were said to be as clean of weeds as most women’s vegetable gardens. The Jennings house was a large two-story frame structure. It was very tastefully furnished with the latest styles of furniture and upholstery. A well-cultivated vegetable garden and fruit orchard surrounded the yard. The front yard featured a magnificent display of flowering plants. The drive leading up to the house was lined with a majestic growth of shade trees.